"O, Write My Name: American Portraits, Harlem Heroes"
In celebration of National Black History Month, Seton Hall University’s Walsh Library Gallery and The Graduate Program for Museum Professions present the exhibition, ‘O, Write My Name’ American Portraits - Harlem Heroes. 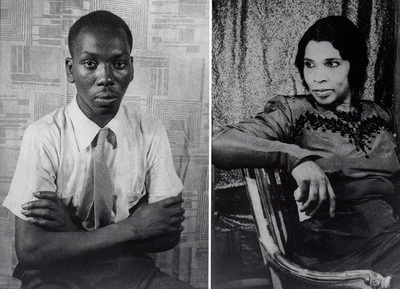 The extraordinary collection exhibited consists of fifty photogravures photographed by Carl Van Vechten depicting the Harlem community from the mid 1920’s through the 1960’s. Carl Van Vechten was a novelist, essayist, poet, and has documented one of the most prodigious and progressive periods in American History. The Harlem Renaissance highlights African American contributions and creativity in literature, music, theater, and fine arts. The exhibit presents photos of artists in many fields, representing the artistic zeal and the black experience during this epoch. Some of the artists represented include Marion Anderson, Langston Hughes, Bessie Smith, Mahalia Jackson, Paul Robeson, Zora Neale Hurston, Jacob Lawrence, Horace Pipin and Richard Wright.